The 5th International conference of the Basel Declaration Society, focused on “Openness and Transparency: Building Trust in Animal Research” will take place in San Francisco on the 14th – 15th February 2018. Four Speaking of Research committee members will be involved as speakers or workshop leaders – Allyson Bennett (also University of Wisconsin), Paula Clifford (also Americans for Medical Progress), Tom Holder, and Kirk Leech (also European Animal Research Association). The conference is free to attend (on a first come first serve basis), and the deadline for registration is 1st December 2017. So register today! The full conference program provides an insight on what promises to be an interesting and useful day on animal research communication. The conference aims to provide “a unique opportunity for all stakeholders from academia and industry to meet and discuss best-practice examples of improved open communication and other innovative efforts to increase trust [in animal research]”. It has been convened by Americans for Medical Progress, Foundation for Biomedical Research, National Association for Biomedical Research, and the Basel Declaration Society. UCLA scientist and former SR committee member, Dario Ringach, will also be speaking on the “Moral disputes on science”. By bringing together speakers from Europe and North America, the conference hopes to share some of the best examples of openness from across the developed world. 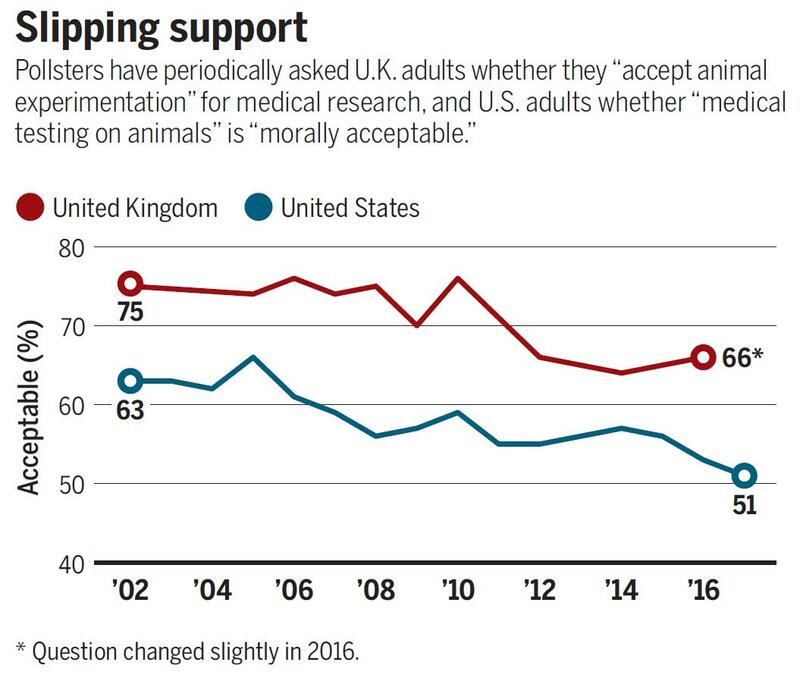 This comes during a time of falling public support for animal research in both the US and UK (though the UK saw a slight uptick in support in the most recent polls). Our animal research statement list continues to lengthen, suggesting a greater number of institutions committing to being more open about their animal research. Yet many institutions in many countries still do not acknowledge the animal research they so publicly. The list shows a diversity of available information – with many institutions providing all manner of information, case studies, images and videos, while many more provide only the briefest mention of their own scientific endeavors. We hope many of you will be able to join us at the Basel Declaration Society conference in February, so register today! Next Next post: Research Roundup: Alzheimer’s disease in the wild, second CAR-T therapy approved and more!